How do I market my coaching business? Copywriting for coaches: it seems to never end! Social media, blogs, emails, videos, webinars… health and life coaches must do a ton of of writing to market their coaching business and attract clients. How do you make sure all the time you’re spending is really going to lead to more clients? By using the exact methods professional copywriters (like me) use. Sure, you can hire me to do it for you, but most health and life coaches I meet want to keep the writing on their own plate. I get it. That isn’t something I wanted to outsource as a life coach. Do you ever feel this way? Do you just want to coach, not do all this other marketing stuff? They good news is copywriting for coaches is just like copywriting for any business. That is, if you know what to do, why, and when you will connect with your audience and see more results (such as clients). That means you can get the results the pros get while doing it yourself. In this workshop, I teach you three shifts that will make your writing feel more authentic, easier to do, and faster. As a professional copywriter and content strategist for more than 15 years, I work with national brands who spend millions of dollars on content marketing and I study trends to stay current on what is working. 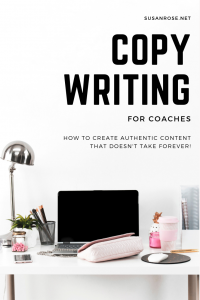 When I’m copywriting for coaches, I do exactly what I share in this workshop. You’ll find it makes a huge difference in authentically connecting with your audience! Watch now and learn the three shifts that will make your copywriting so much more enjoyable… and profitable! After you watch the video, make sure to schedule your FREE content audit! Click this link to schedule now. When starting a coaching business, what you don’t know can cost dearly.